Disclosure: I received the Snuggie Tails in Pink Mermaid free of charge to facilitate my review. However, My love of this product is all mine! If your kids are anything like mine, chances are they love snuggling up in blankets. They especially love soft blankets that wrap around them and keep them warm and cozy. How about taking that warm and cozy feeling and put it into a fun character? Now your little one can embrace their favorite whimsical and sea life creatures and enjoy the fun of a character blanket from the creators of Snuggies, SnuggieTails! 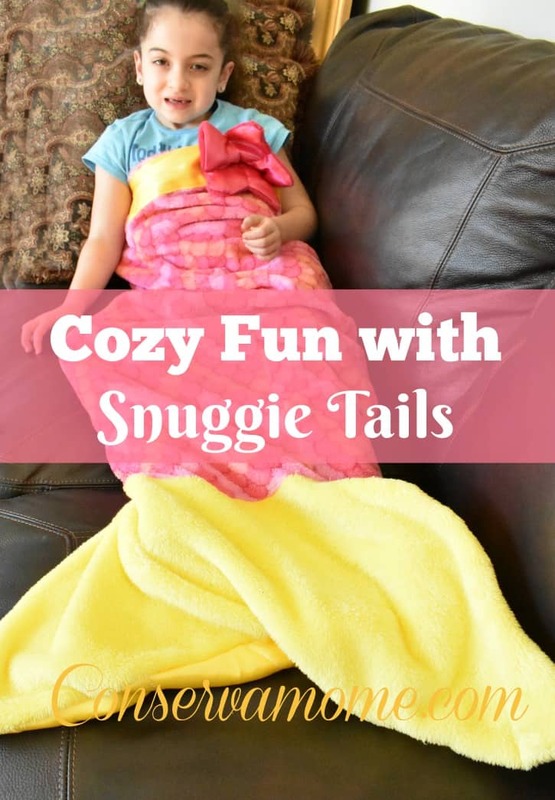 SnuggieTails are completely machine washable and come in child sized styles such as a clown fish, killer whale, pink mermaid, dragon, rainbow fish, shark, dolphin and penguin. The Blue Mermaid is the only size that is currently available for teens. Each comfy wrap is made of quality fleece fabric, and encloses heat. I can’t emphasize how soft this SnuggieTails is. It’s a soft fleece that will keep you comfy and cozy for hours. Best of all since it’s washable there’s no worry of where your kids will take it. The trim is made of a shiny satin material making this an adorable Tail for your little one to sit. I am so in love with this product and words can’t describe how excited my #3 was to get this product. She uses it all the time since we got it. She loves snuggling up and just sitting in her SnuggieTails and the fact that it’s a mermaid makes this even more amazing!! The blanket currently retails for $19.95 plus shipping and handling. It’s worth every penny and I know kids will love to get this as a Holiday gift! For more information or to order Snuggie Tails please visit SnuggieTails. One lucky reader will have to own one as well. The wonderful people at SnuggieTails will give one reader the opportunity to choose from the Pink Mermaid, Dolphin or Shark. So head below for your chance to win one of these awesome SnuggieTails. I promise you’ll be a hit when you show up with this for your kids!Giveaway ends on 12/13 at 11:59pmEST! Good luck! These are so cute! My kiddos would love them, soft fleece to cuddle up in! Oh yea! I’m not sure how to pick a favorite! I love the shark because I love shark movies. I also think the rainbow fish would be very cute for my daughter. I like the Rainbow Fish, but my daughter loves the Pink Mermaid one. 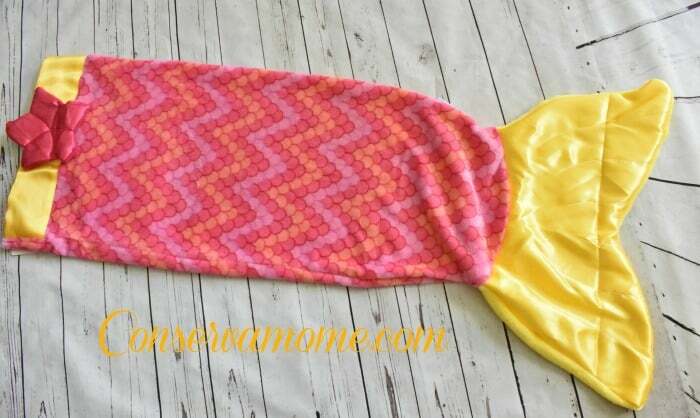 The Pink Mermaid is my favorite, my daughter loves blankets and would defiantly use this all the time! 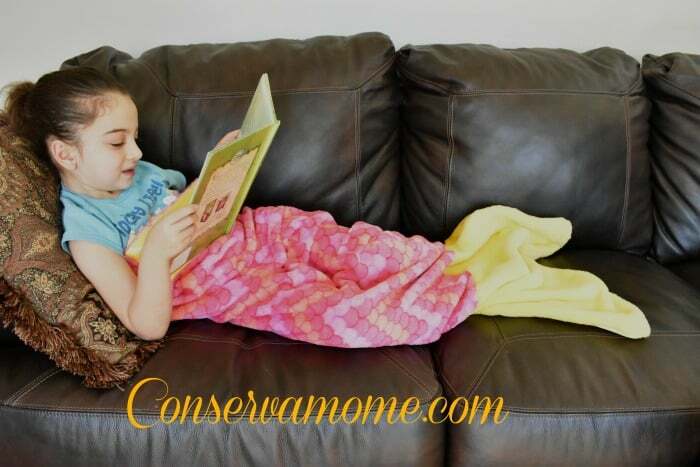 The Pink Mermaid Snuggie is definitely my favorite, and I know that both of my girls’ would love them too! 🙂 My son would love the Dolphin one. I love all of them especially the shark!! So cute! Merry Christmas! kristiedonelson(at)gmail(dot)com Thank you. I like the pink mermaid snuggietail the most! 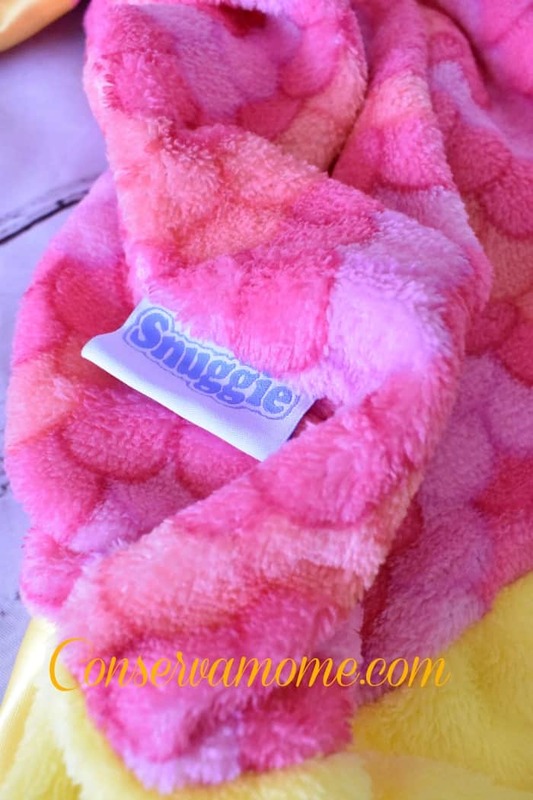 My daughter would love the pink mermaid snuggletails! I love the pink mermaid! My daughter would love that so much! The pink and yellow one is my favorite. I like the rainbow fish for my daughter! These are super cute… I love the Clown Fish. I would love the pink mermaid tail! I love the Shark, but would get the Rainbow Fish for my Granddaughter. My daughter would love the Pink Mermaid! These are so neat! I like the rainbow fish for my granddaughter. Pink mermaid for my daughter! She’ll freak out about it. I like the Orca Whale. Love the Teen/Adult Shark for my boys to share! That’ll give them room to grow! The Pink Mermaid is something I could see my 6 yr. old granddaughter snuggling up in while she reads to me. These are really cute…all of them. My daughter would love the pink mermaid! I love the Shark one!! My son would adore it!! My daughter & I love the mermaid one! my daughter wants the mermaid tail. My favorite Snuggietails is the pink mermaid, so cute!! My daughter would love the mermaid! My daughter would love these! Thank you for the chance!